Hello. Is this thing still on? Welcome, young and old, to the new 99CMDRProblems. Just so happens to be the old 99EDHProblems.com. They both direct here now. 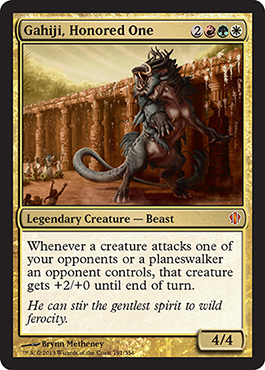 Anyway, I’m getting the itch to write about Commander again. With the new Commander 2013 decks coming out, I know that everyone is excited for them. To be honest, I’m more excited for this product than I was for Theros. 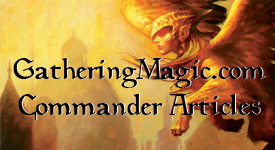 Commander runs deep through my blood and it’s the only format I have at least one deck built for. But that’s the problem, as a Johnny, I want to build all the decks. Building decks gives me greater pleasure than playing. Once in a while (knowing my schedule and everything else going on), I’ll write a deck idea out here. Not the whole deck, mind you, but just enough to have something to start with. I still don’t like the idea of the full 99 down on paper and have people take that as the only way to do it, however a place to get people started with a certain Commander seems good to me. These aren’t going to be a complete primer of how to play the deck or anything, just how I would build the deck. There’s some train of thought thinking here and it’s really just the first draft of a deck; just enjoy the ride.